What Are the Debt Consolidation Costs and Fees? Even good deals come with some costs. This is especially true when consolidating. Although you might be lowering your monthly expenses, there are still debt consolidation costs and fees that you need to take into consideration. And the type of fees you pay comes down to which type of debt reduction plan you decide to go with. Each option has its own costs. So before you decide that debt consolidation is for you, consider the costs that come with that particular option. And that’s where this article can help. You’ll learn what types of fees to look out for so you know what to expect from the various programs out there. If you’ve found yourself in a considerable amount of debt, there are only a couple of viable options available. Firstly, you could try to come to an agreement on a repayment plan with your creditors – directly. And secondly, you could opt to employ a specialist company that deals with debt consolidation. The latter option is a way of lumping all your debts together into one affordable monthly payment. You do that by either getting a loan to pay the creditors or any number of other programs. However, most people don’t realize there can be a good amount of fees involved when taking that route. Today, we aim to set the record straight by giving you information about the real costs of debt consolidation. Don’t worry if you’re not down with industry jargon as we will try to relay everything in layman’s terms. When opting to consolidate your debts by performing balance transfers from your credit cards, you will encounter immediate fees. Some credit card providers allow 0% on balance transfers, and so those are the ones you should seek out. In most circumstances, the ones who charge will insist on somewhere between 1% and 5% per transaction. The companies and establishments that help you consolidate your debts make money by collecting interest on the amount owed. So, it is vitally important that you ensure this rate isn’t too high. It’s nice to have the debt collectors off your back, but if it means you will be paying for it for the rest of your life, it’s not such a good deal. Your interest charges will be applied on a monthly basis. Again, that means you need to read through the small print carefully. Some companies have been known to charge in excess of 18% interest on money loaned, which means you might only reduce your debt by a tiny amount with each payment you make. The first costs you will encounter when engaging in debt consolidation are program fees. No matter how you choose to consolidate your outstanding debts, most companies will apply this expense. They claim it is mainly to help deal with administration fees, and it could be anywhere from 1% of a loan, or 30% of the amount you’ll be saving every month from your consolidation program. Even so, there are some circumstances where these costs won’t get applied. 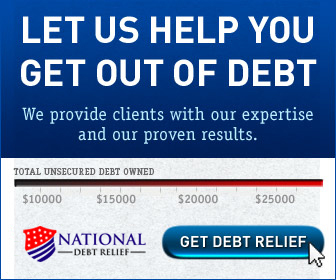 Not every debt consolidation strategy is the same. So always ask the consolidation providers what the program or loan fees are. The last thing you ever want to do is make a late payment on debt consolidation, especially if you’re performing balance transfers. As we just mentioned, some firms allow you to do this with 0% fees. However, it often says in their small print that huge fees will be applied if there is one single missed payment. At the end of the day, your credit score will probably have been affected by the debts anyway. So, you don’t need yet another late payment to show on your report. By cancelling your debt consolidation solution for whatever reason, you will almost certainly encounter fees. The company that has given you a loan wants to make as much money from you as possible, and so it’s in their interests to ensure you’re paying for the full period. You will often encounter these fees, even if you are cancelling the deal due to paying the money off in full. For that reason, it is always wise to keep a close eye on the small print before you sign on the dotted line. Now you know more about the main debt consolidation costs and other fees, we hope you will be in a better position to make the right moves in the near future. Too many people walk into the situation blindly and end up in a worse position than they were previously. We’re not saying debt consolidations services are bad, because they’re not. So long as you know your stuff and look for the best deal, it can be the perfect way to get out of your debt dilemma. We hope you manage to find a good solution to your issues soon.